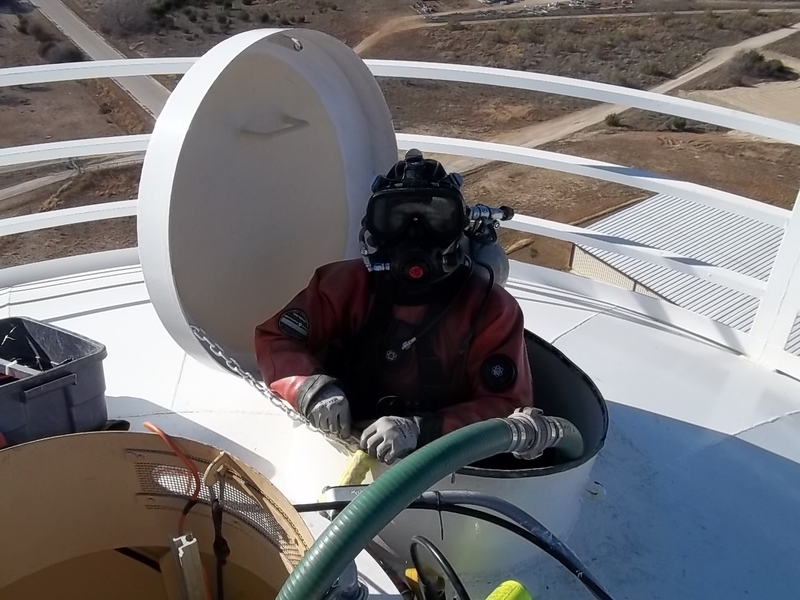 While some water utility operators prefer to have their tanks inspected by Certified divers others prefer the safer method of using an underwater camera or remotely operated vehicle (ROV). It is true the diver can deliver a more detailed inspection, it is also true that is usually at a much higher cost both in money and risk to human life. 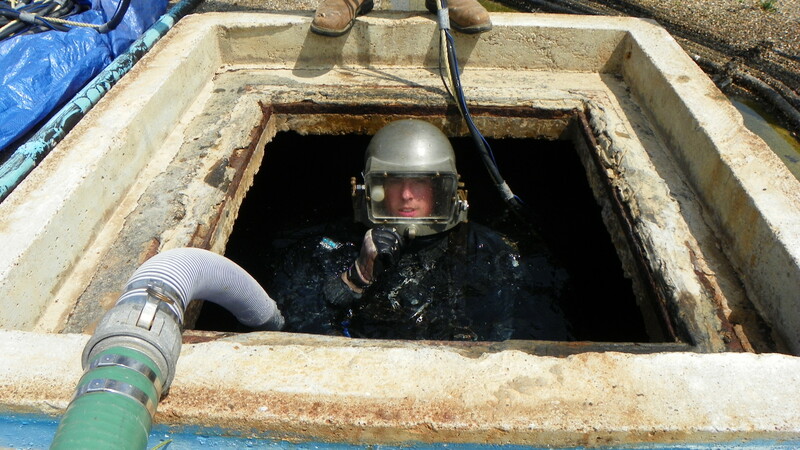 The diver needs at least two tenders to safely enter a confined space, while a field technician with an underwater camera sends his camera into harms way. Our company employs all three methods each has its advantage and disadvantage. 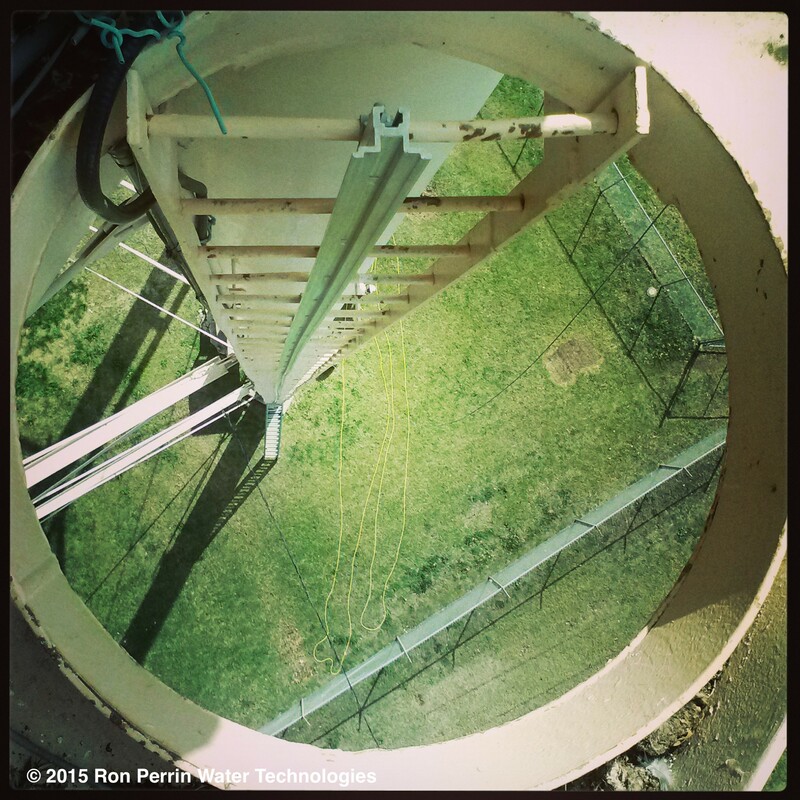 The remote camera is by far our most popular way to inspect water storage towers, due in great part to the low cost. The remote underwater camera gives you a lot of information for the money, allowing you to see a good portion if not all of the intirior roof and floor area of most tanks and towers under 500,000 gallons. Our next step up from the Remote Camera is a Remotely Controlled Vehicle (ROV). 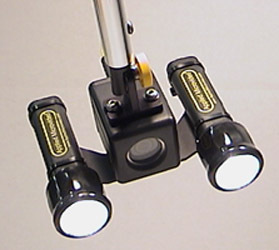 This is a unit that has an underwater camera and motors with props that allow it to go to the rear of large tanks or look a a specific point. Be carful with deceptive contractors that try to pass off a remote underwater camera as an ROV saying it stands for Remotely Operated Video. Both the remote underwater camera and the ROV put the equipment not the person into the confined space containing potable water. 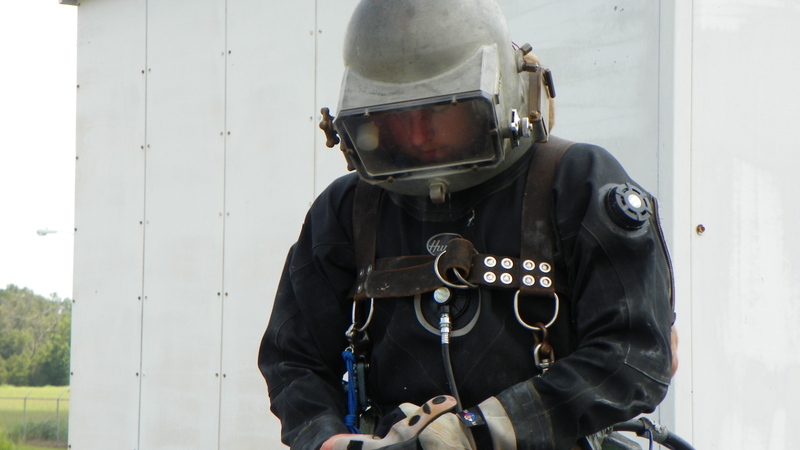 The diver inspection requires a much larger operation. The diver can use a remotely controlled underwater video system that is being viewed and recorded by the top side dive team or he can use a diver held camera that is actually a camcorder in an underwater housing. All the equipment he is using and wearing should be purchased for and only used in potable water. When selecting a ROV or diving contractor you should do your homework. Check out their main web site and see what kind of work they are promoting. 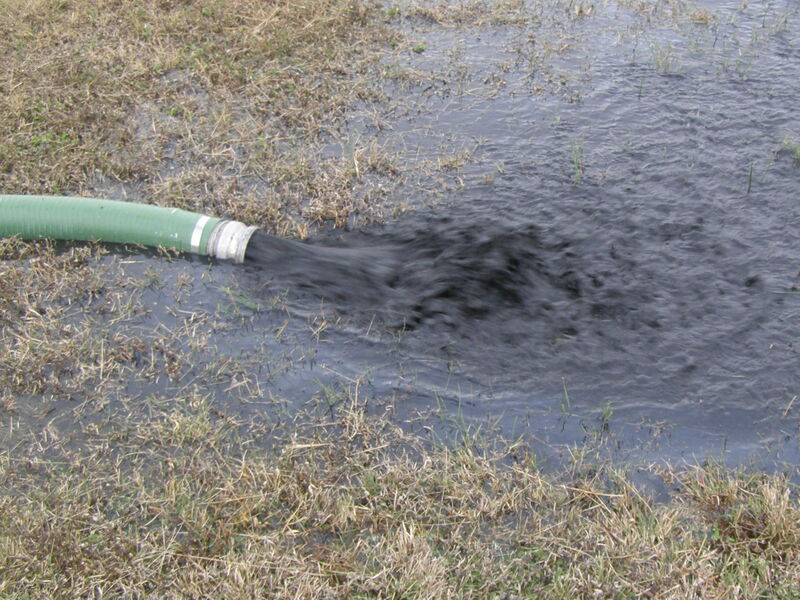 If the Web site is focused on off shore activities, the company may only be working in potable water as a sideline. Further investigation may show them using the exact same identifiable gear in potable water storage tanks that they use in muddy canals or even waste water. A little online research will go a long way when you want to determine who to trust the safety of your water system to. 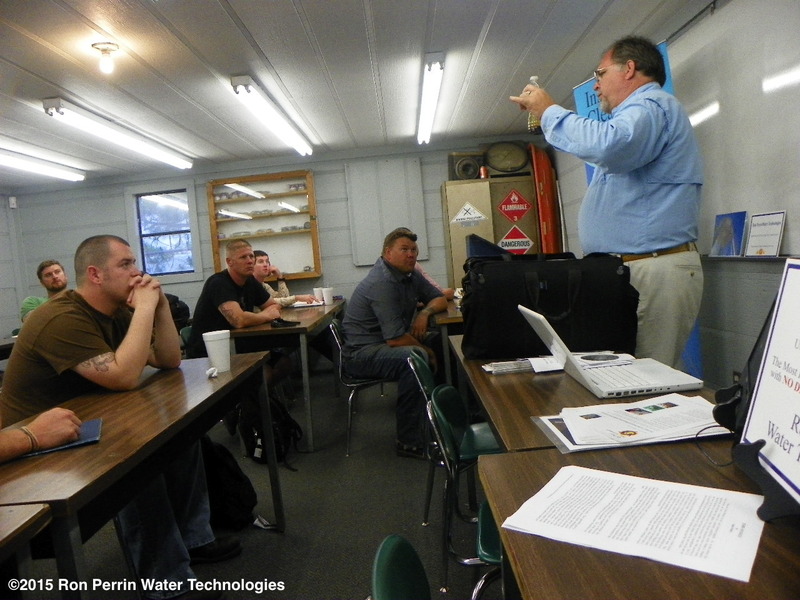 Microbiological contamination is a real concern when allowing access to your potable water storage tanks. For more information on bacteria and other contaminants visit my Water Project blog at http://www.ronperrin.us scroll down to the contaminate article or watch the bacteria reproduction video. 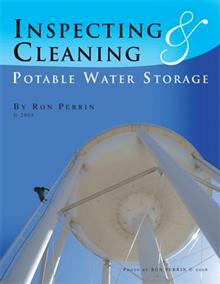 Ron Perrin Water Technologies online newsletter is open to anyone who wants to know more about the inspection and cleaning of potable water tanks and towers (drinking water). Our goal is to allow utility officials to understand all of the choices they have when it comes to Inspecting and cleaning potable water storage tanks and towers. Remote Camera Inspections deliver the most Information for the Least Cost! Many states now require YEARLY Inspections. In Texas, TCEQ Rule 290.46 Subchapter D (m) (1) states that “Each of the system’s, ground Elevated and pressure tank’s shall be inspected annually by the water system personnel or a contracted inspection service”. We are celebrating our 10th year of serving Texas Water Utility Systems. Our inspections are the best in the industry. We now offer our largest choice of inspections all cover state requirements with NO DISRUPTION IN YOUR WATER SYSTEM! 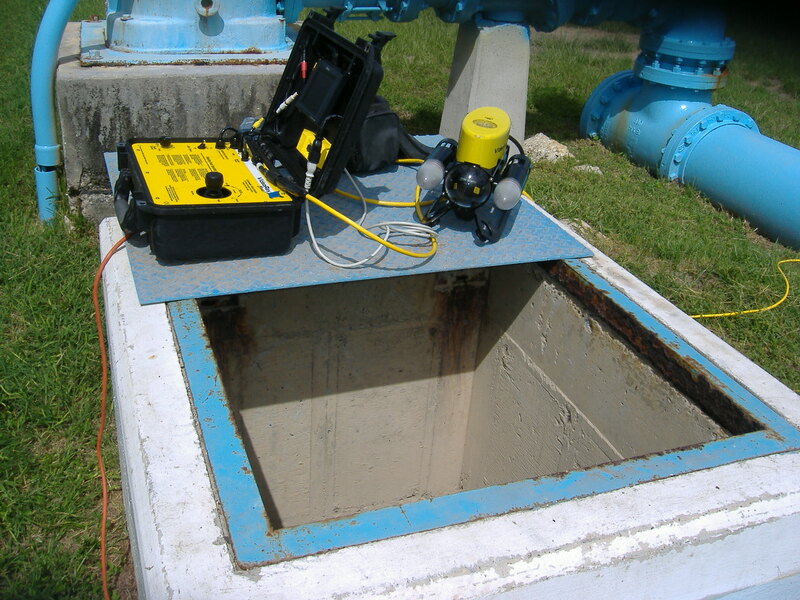 UNDERWATER CAMERA Inspections determine if you have sediment, insects, birds or other contaminates in your storage tank (available with or without video recording). THE MOST INFORMATION for THE LEAST COST to insure the HEALTH of your Water System! Our inspection methods have been developed over 10 years with thousands of tanks inspected, and millions of gallons of fresh drinking water saved. 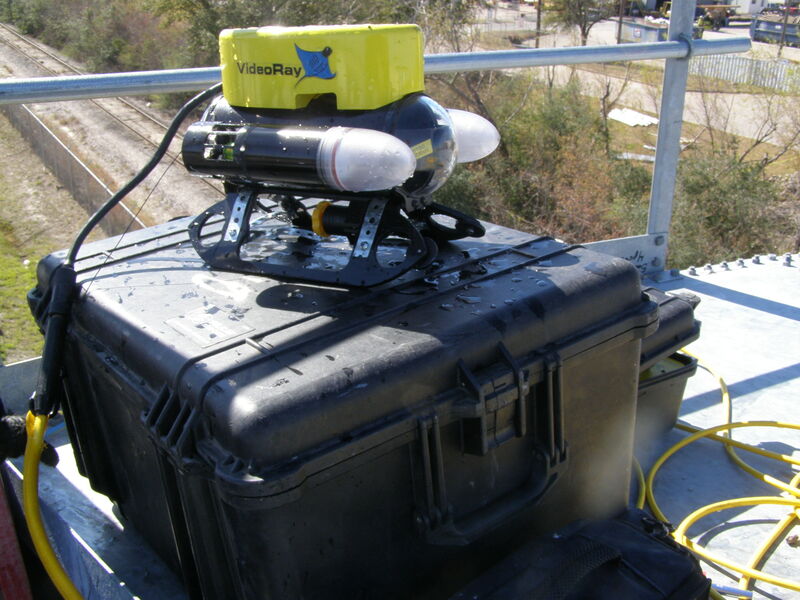 The VIDEO RAY ROV is an excellent inspection tool for large water storage facilities. 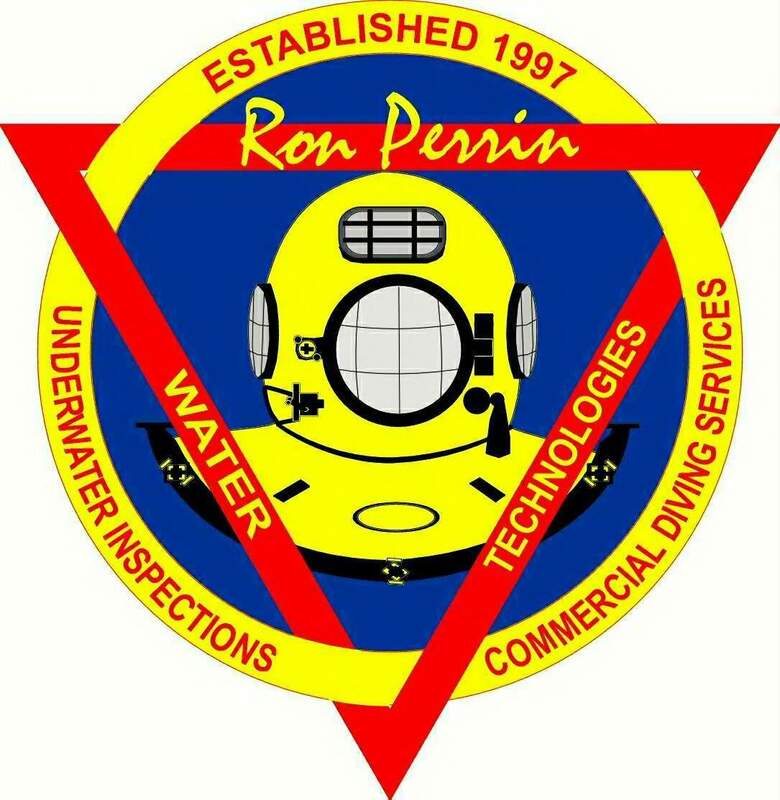 The remotely controlled unit is able to move throughout the facility to get a good look at all interior conditions.Ron Perrin Water Technologies has specialized in water storage tank inspection since 1997. We use digital cameras to capture photos of outside inspection points & underwater video with the VIDEO RAY ROV to give the most complete report in the industry at a very competitive price. For a free quote call Ron Perrin Water Technologies at toll free at 888-481-1768.